Welcome to the wonderful world of concrete. Due to its versatility, durability, and price, decorative concrete has become a leading design element among flat work finishers. 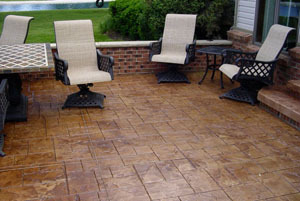 It can be used in numerous applications, such as: custom designed concrete driveways, walkways, outdoor living areas, pool decks, patios, porch's and much more. 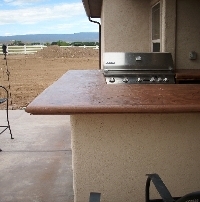 By combining stamped, acid stain, or overlay techniques, we can add rich textures and colors to create the hard- scape of your dreams. 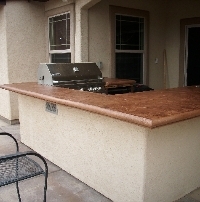 The design possibilities with decorative concrete are endless. We can also resurface your existing concrete depending on the structural integrity of the previous pour. And if your are looking for just the traditional grey concrete to replace or add onto existing concrete, well we can do that too. Standard 10ft x 20ft - Includes labor, material & tax - mention this ad when calling and recieve a $100 discount - Limited Time Offer.